Things have gone horribly wrong for Al and the world as we know it. The Alpha Project arises as a possible solution, but quickly becomes a dangerous prospect and a one way trip to hell for Al and everyone involved. Caught in the crossfires of an ethical and moral nightmare, Al tries to maintain the few strands of sanity he has left. With no one to turn to and so much on the line, he makes friends with another man who’s also on the edge. When changes that neither of them fully understands, shreds the connection that they’ve built, one of them will find themselves in a heart-stopping dance with a monster. 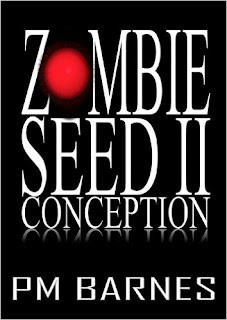 This is the second book in the ZOMBIE SEED trilogy and it shows us how it all began. Welcome to the beginning of the zombie apocalypse. The Alpha Project becomes the possible solution or could it be the signed death warrant. Welcome to Al's world being an analyst on the project he is thrown into a hell that no one will come out the winner. The author takes us to the beginning of all, where it began. The lab where the top scientists are working on a serum. The two main characters Al and Martin . Al is the family man that is frustrated with his job and having nightmares. He is trying to live through what is happening as they play God. Martin is a geek and he is mysterious to boot . He works like a machine and doesn't talk to Al at all . He has something to hide , I have a feeling there is more to him then meets the eye . I think that he knows more about patient zero and doesn't really know how to process it. When we first meet them Martin is alone in the lab contemplating on what has happened. Al is no where to be scene . We hear banging and thumping against the door. But like in any great zombie book we do not open the door for nothing or no one. Then you are thrust into the lives of the characters and get to see how things are done from the start. The author thrusts us right into the middle of the outbreak. You are sucked in from the first page, the characters are so complex and you are thrown into the middle of the chaos . Trust me you will both hate and feel sorry for Al and Martin . You will see them break down and wonder what the hell they are doing working on patient zero. When you pickup this book be prepared to sit there until the book is done. You will laugh cry and shout at your kindle when you read. Just remember I warned you , sleep with the light on and you will never think of monkeys in the same way again . 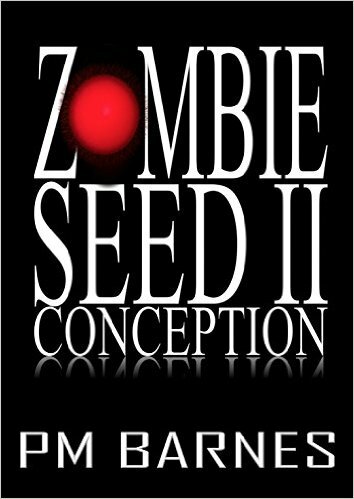 So I suggest that THE ZOMBIE SEED TRILOGY should be on your Halloween reading list. You will not be disappointed because PM BARNES takes the zombie genre to the next level.